Change the look of your shop to be more eyes catching & functional with sliding, an offscreen shoppinng cart. Organize better your space in your shop header. fixed cart icon with the product counter - new! 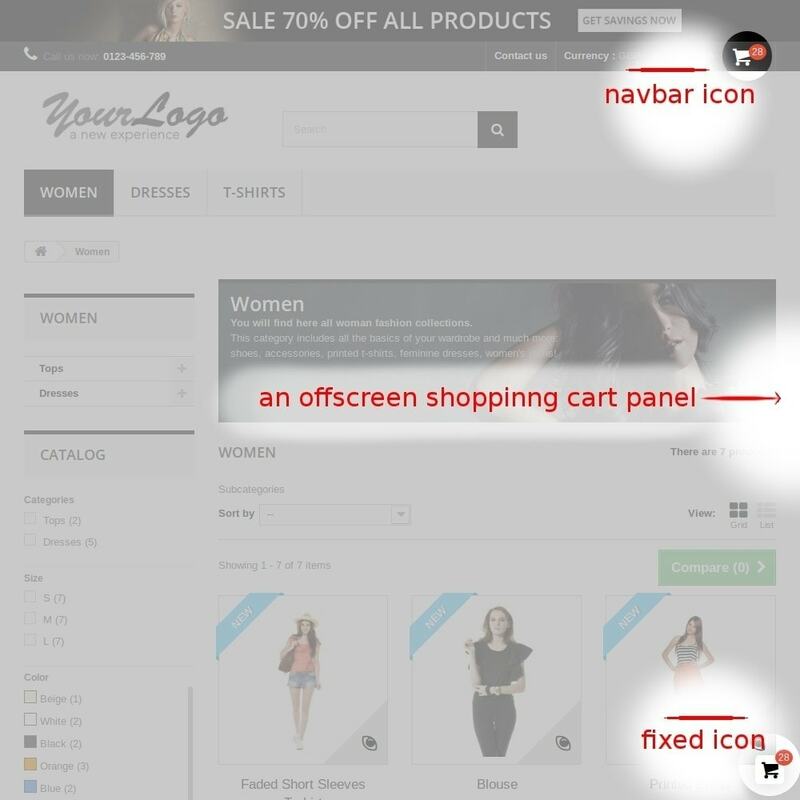 navbar cart icon with the product counter - new! define fixed cart icon position - new! define background of the product counter - new! enable/disable cart icon counter animation - new! 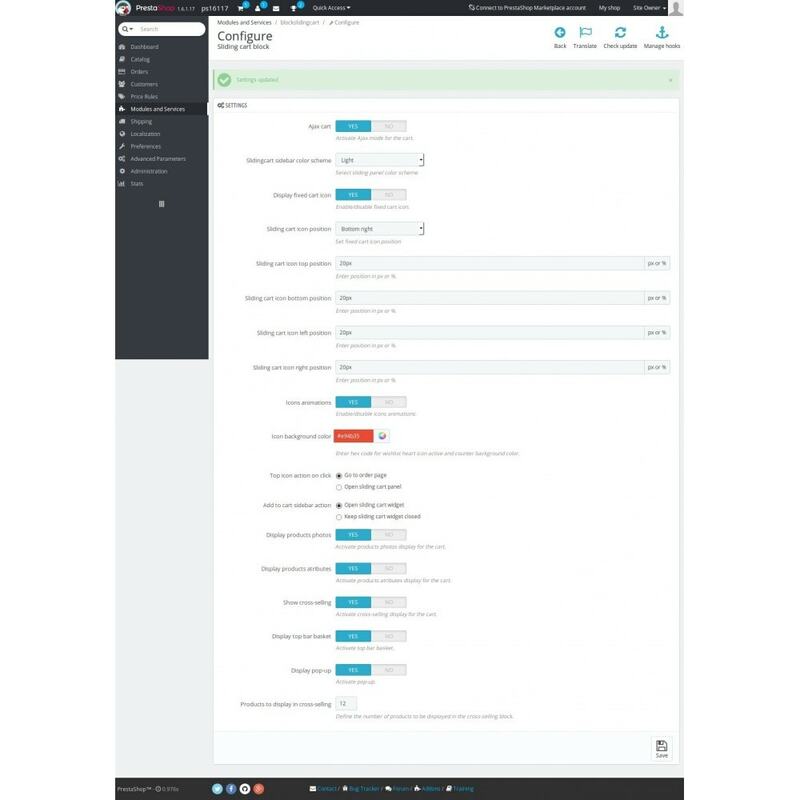 enable/disable sidebar sliding cart panel - new! define top icon action on click (go to order page or open sliding cart panel) - new! 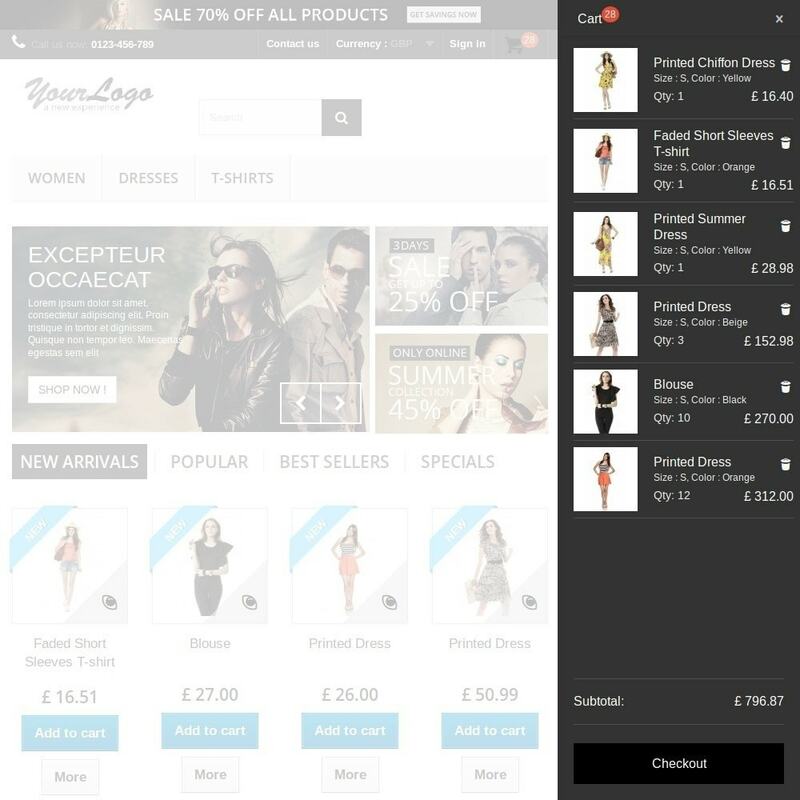 'Add to cart' sliding cart panel (open sliding cart widget or keep sliding cart widget closed) - new! enable/disable fixed cart icon - new! 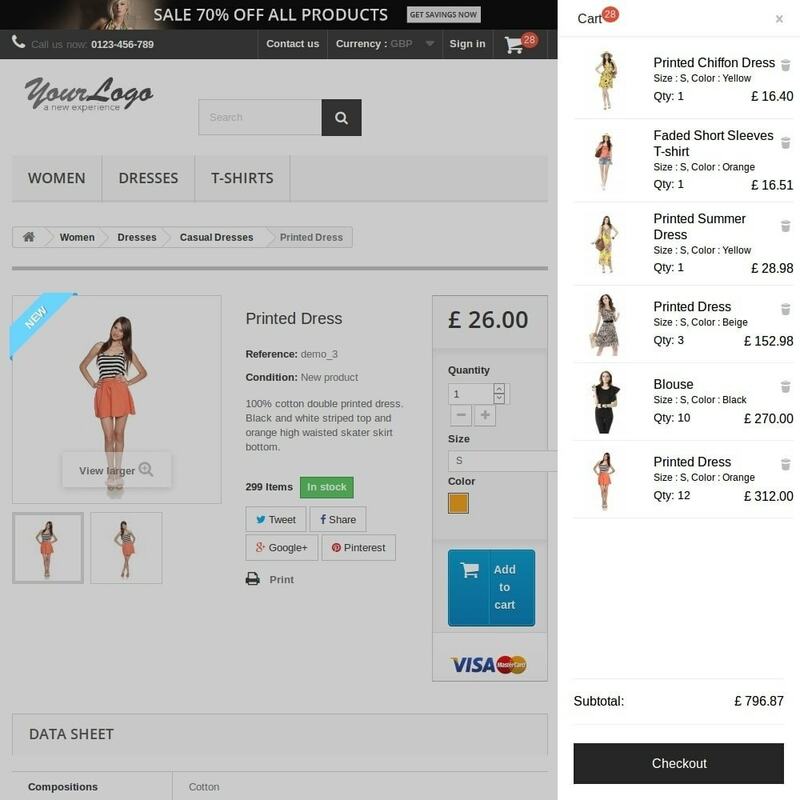 Clicking the sliding cart icons or adding a product to the cart from a shop will reveal the cart contents with a link to the checkout and cart contents. 6/ Install and Configure as required. 4/ And then "Configure" link. In configuration, chose your settings, save configuration and enjoy. Settings help & small (reasonable) customization for your theme included. Fullscreen image simple, aneswone&lightweight slider for your homepage. Now coming with 'sticky header' and 'scroll to top button' (independent) options. A simple but eye catching slider with two vertical scrolling panels. This responsive vertical fullscreen slider moves it's sections in opposite directions. Coming also with 'sticky header' and 'scroll to top button' (independent) options. Show the cover image (regardless of products options) and second image of a product on hover.